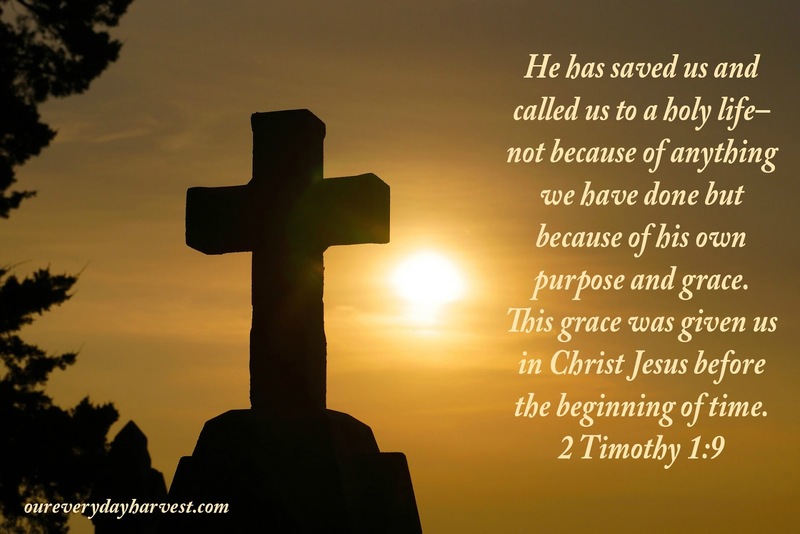 I also can't help but think of 2 Timothy 1:9 in the Bible, where it tells us that we were given grace through Jesus all the way back since before creation. Isn't that something?! So as we sit in remembrance of all Christ had to endure in order to save us from our sins, we can also remember how much God loved us to send His one and only son to make the ultimate sacrifice. With a gift like that, let this be a reminder that we have so much to be thankful for.